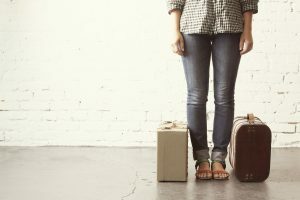 When God told Abram and Sarai, from the Bible, to pack their bags and head out into the great unknown for the rest of their earthly lives, we often forget all that they left behind. In Abram and Sarai’s day, Ur was a thriving metropolis with over 250,000 people. The people of Ur were highly advanced in the arts and sciences. The average home was more than 2,000 square feet. Can you believe it? Beyond that, Ur was their community. Whatever friends or family that they had probably lived in Ur, leaving them forever had to be hard. And Abram and Sarai, were not exactly young, adventurous twenty-somethings. When they pulled up stakes in Ur, Abram was 75 and Sarai was 65. At just the time when most of us are planning to retire and begin taking life easy, God called them into a whole new phase of following Him. Abram and Sarai didn’t obey God because it was easy, I can’t imagine that any part of it was easy at all. They obeyed because they trusted God to take care of them and keep His promise to them. If you are scared to death of what God has asked you to do; foster care, adoption, financial giving, whatever it is, because of what you will have to give up, remember Abram and Sarai. They gave up a lot! Sometimes it may not have seemed worth it. But in the end, I bet that they wouldn’t have traded their grand adventure with God for anything in the world.